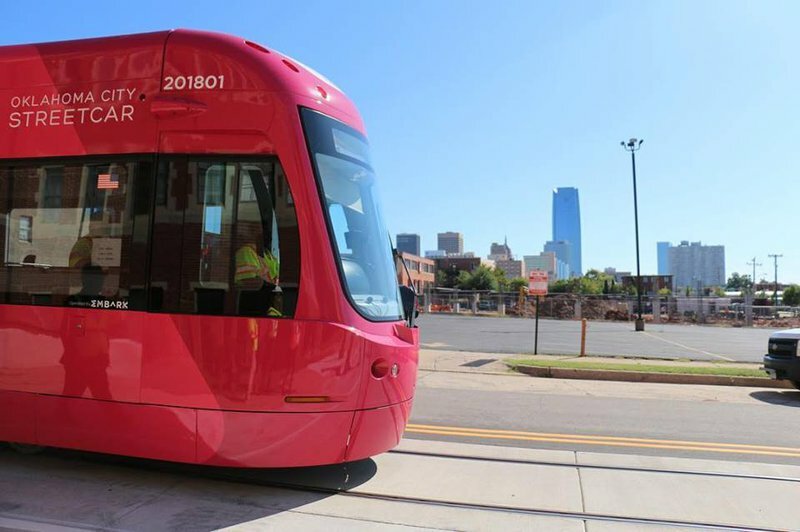 Tour through downtown Oklahoma City with a ride along the Oklahoma Streetcar. 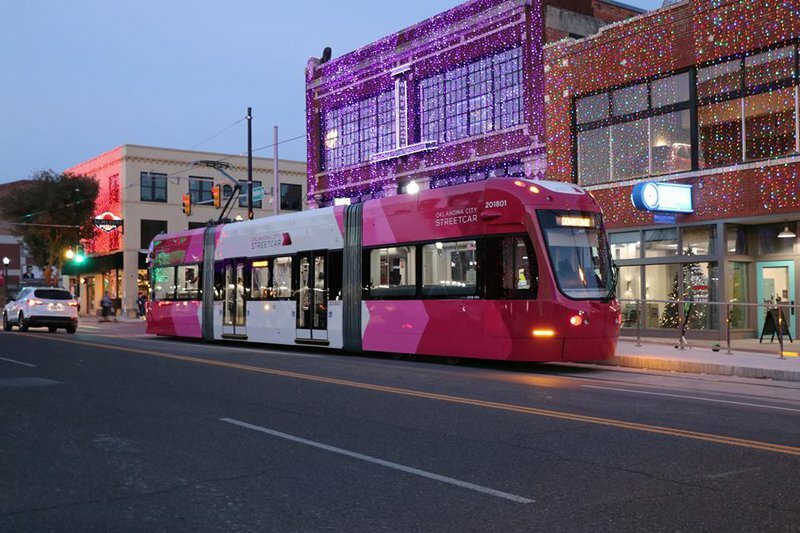 Wait along the platform, and hop on board once the vibrant streetcar arrives. 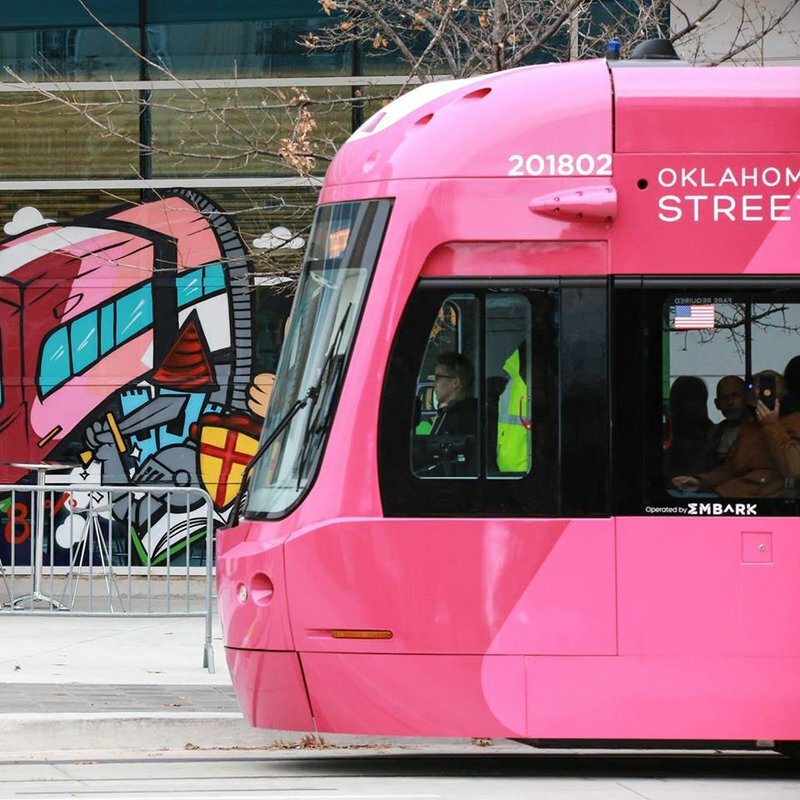 Guests can explore the Bricktown Entertainment District with a ride along the Bricktown Loop, or venture as far north as the Midtown District with a ride on the Downtown Loop. 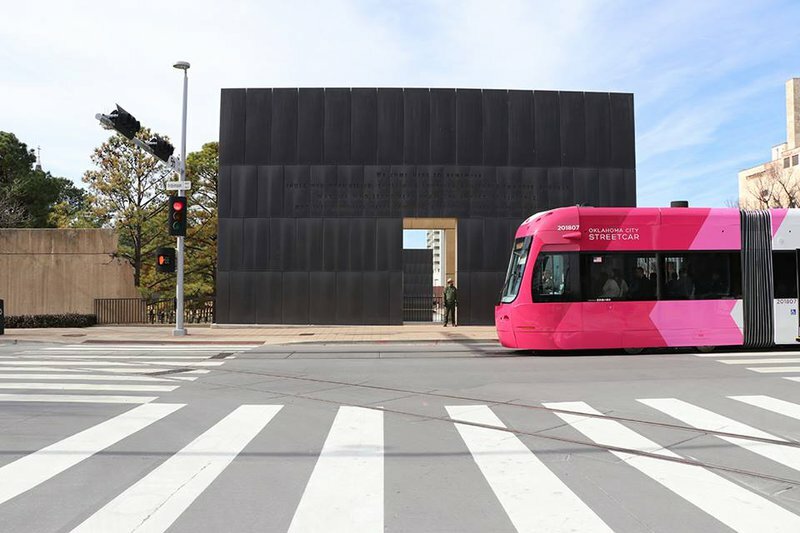 Visitors and residents can easily commute from Scissortail Park all the way up to Campbell Art Park, with stops at popular attractions like the Oklahoma City National Memorial & Museum or Myriad Botanical Gardens & Crystal Bridge Tropical Conservatory along the way. 1-hour single boarding ticket: $1. While every effort has been made to ensure the accuracy of the pricing listed above, prices are subject to change without notice. NW 10th St to Oklahoma City Blvd to N Dewey Ave to Joe Carter Ave.